THE NAIL is published monthly by the Home Builders Association of Middle Tennessee, a non-profit trade association dedicated to promoting the American dream of homeownership to all residents of Middle Tennessee. SUBMISSIONS: THE NAIL welcomes manuscripts and photos related to the Middle Tennessee housing industry for publication. 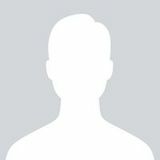 Editor reserves the right to edit due to content and space limitations. POSTMASTER: Please send address changes to: HBAMT, 9007 Overlook Boulevard, Brentwood, TN 37027. Phone: (615) 377-1055. FEATURES 7 Why are new homes getting so big? To find our why home sizes are continuing to grow it’s important to take a look at who’s buying them. The annual Home Show returned for its annual three day weekend Friday, February 21 at the Williamson County Ag Expo Park in Franklin, Tenn.
hough the average size of new homes keeps getting bigger, there is more to this home buying trend than meets the eye, according to Census Bureau data presented by the National Association of Home Builders (NAHB) during the International Builders’ Show in Las Vegas. “The average home size has continued to rise for the past four years, from 2,362 square feet in 2009 to 2,679 square feet in 2013,” said Rose Quint, NAHB assistant vice president for survey research. The share of new homes with at least four bedrooms has also been on an upward trend, rising from 34 percent in 2009 to 48 percent last year. Meanwhile the percent of homes with at least three full bathrooms has gone from 23 percent in 2010 to 35 percent in 2013, and the share of homes with three-plus garages has climbed from 16 percent in 2010 to 22 percent last year. The upward trend also applies to the percentage of two-story single-family homes started, with the share steadily rising from 51 percent in 2009 to 60 percent in 2013. As homes get bigger, so does the average sales price, rising from $248,000 in 2009 to $318,000 in 2013. To find out why homes are getting so big you need to look at who is buying them. “It requires a high credit score and a nice income to qualify for a mortgage,” said Quint, who noted that the spread between the average Experian credit score of all U.S. consumers and the average home borrower’s score has risen from 33 points in the early 2000s to 58 points in 2013. Showtime! Big event draws big crowds over its annual three-day weekend. John Whitaker, Hermitage Lighting Gallery. Home Show Chairman B.J. Hanson promotes the event, above with Meryll Rose on Talk of the Town and below with Channel 4. HBAMT Vice President Trey Lewis talks Home Show with Kacy Hagerty on More at Midday and below on-air with Lisa Spencer. GREEN BUILDING COUNCIL Council President - Erin Richardson: 615/883-8526. The Green Building Council meets on the fourth Wednesday of the month, 11:00 a.m. Next meeting: Wednesday, March 26. Topic: to be announced. Price: free for Green Building Council members pending sponsorship; $20 for non-members with RSVP ($25 w/o). Council RSVP Line: 615/377-9651, ext. 308 HBAMT REMODELERS COUNCIL Council President - Jason Broderick. The HBAMT Remodelers Council meets on the third Wednesday of the month, 11:00 a.m. at varying locations. Next meeting: Wednesday, March 19. Location: to be announced. Topic: to be announced. Price: free for RMC members with RSVP; $15 for non-members with RSVP ($20 w/o). Council RSVP Line: 615/377-9651, ext. 301 MIDDLE TENN SALES & MARKETING COUNCIL Council President - Trey Lewis. The SMC meets on the first Thursday of the month, 9:00 a.m. at the HBAMT offices. Next meeting: Thursday, March 6. Topic:”Price Increases in New Construction; the Rising Costs of Home Building,” with special guests. Price: SMC members free thanks to our sponsors ($10 w/o RSVP); $20 for non-members with RSVP ($25 w/o). Council RSVP Line: 615/377-9651, ext. 302. 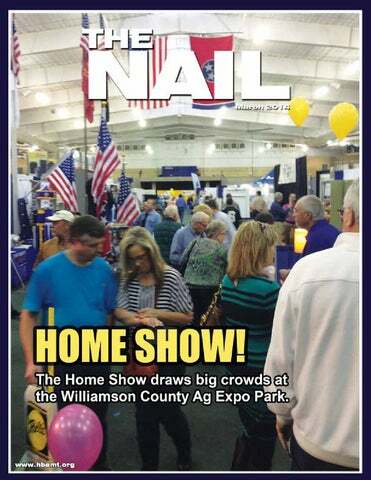 The March, 2014 issue of The Nail, the official monthly publication of the Home Builders Association of Middle Tennessee (HBAMT).